I caught this little bee doing a headstand inside a Hosta bloom in my garden. He was too cute to pass up. Me encantó este trabajo. La temática, los colores y la composición. El momento exacto cuando se alimenta la abeja. Maravilloso Jill. Thank you so much Ruben! I appreciate your sweet comment!! 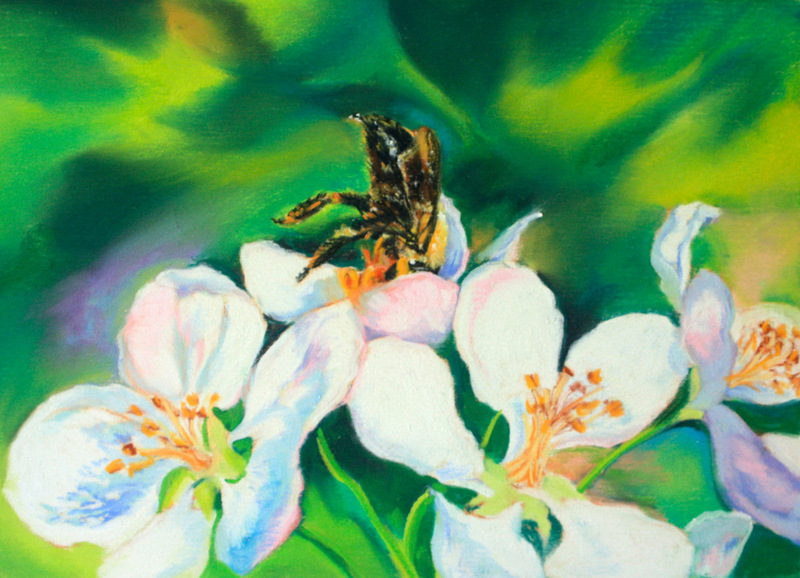 I loved painting the bees and took several photos of these little guys.